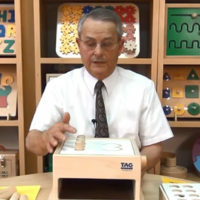 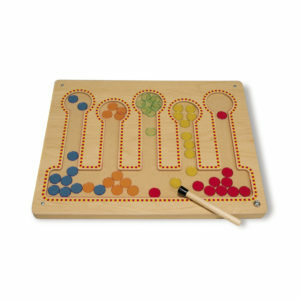 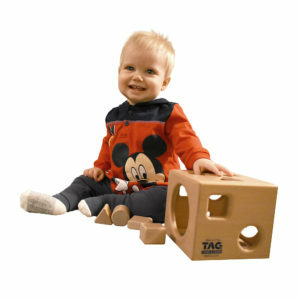 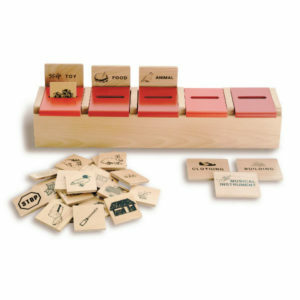 TAG’s unique toy design that teaches counting in a concrete, active and enjoyable way. 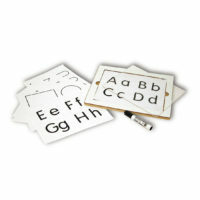 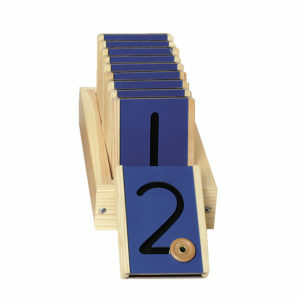 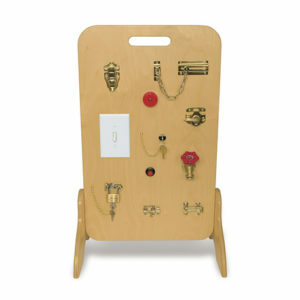 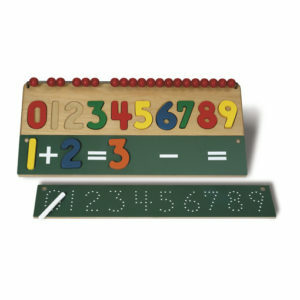 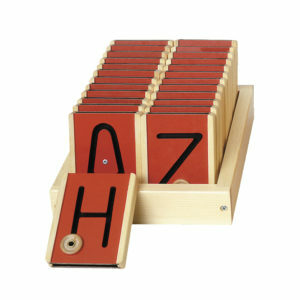 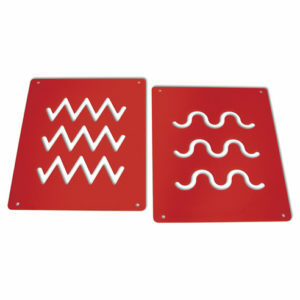 10 interchangeable number plates can be placed individually into the top of the counting box. 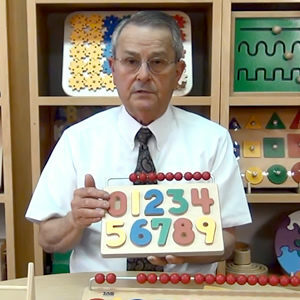 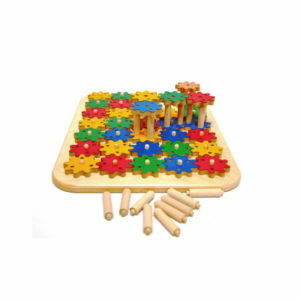 Child places pegs into the holes next to the number while counting aloud, first with help, then alone. 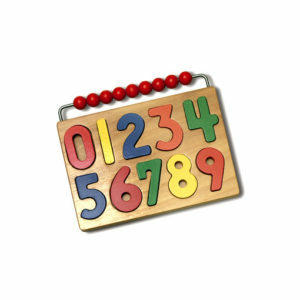 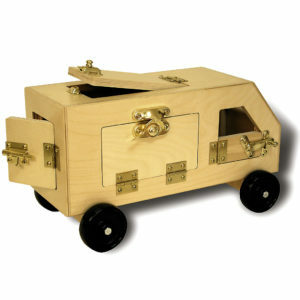 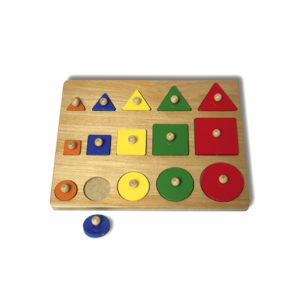 When the count is complete the child pulls the knob on the side of the box and the pegs come tumbling down. 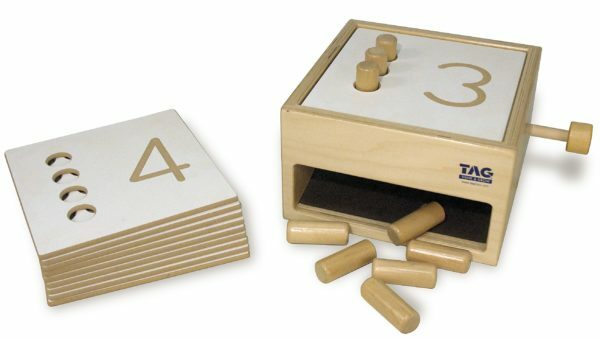 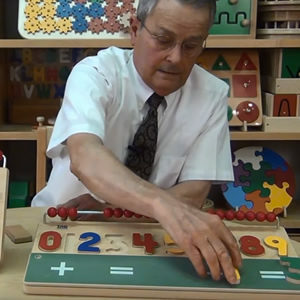 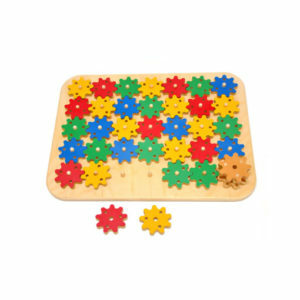 With this reward the child will repeat the activity with a given number over and over again, eventually practicing each number and becoming aware of the concrete quantity associated with the numerical symbol.